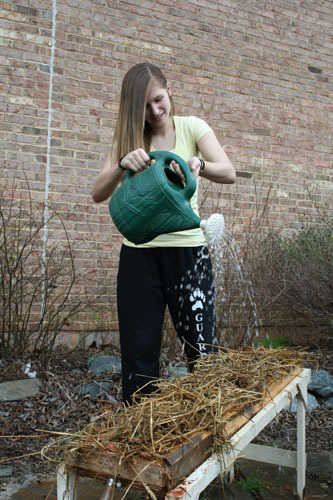 ‘Soil to Seed: Protecting Water Quality through Soil Erosion and Sediment Control’ is a NC 4-H curriculum that engages young people in actively identifying water quality issues impacted by soil erosion and sedimentation within their community using an experiential learning approach. 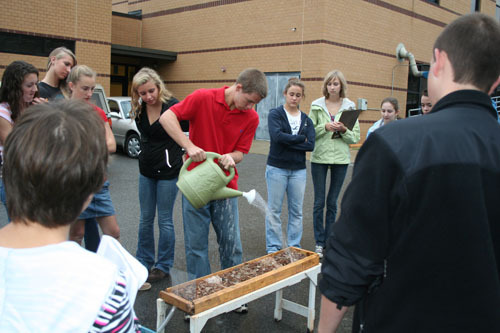 The curriculum has been designed to weave together environmental education objectives with interactive lessons on soil erosion that utilize the surrounding school campus, local neighborhoods, or camps as a situated learning environment. 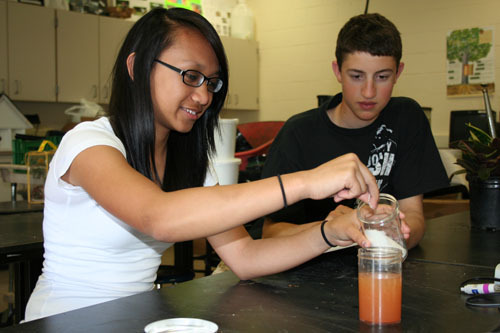 Students explore concepts in soil erosion and sediment control in a real-world context that build a number of important skills including problem solving, critical thinking, communication, and responsibility. 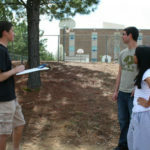 The curriculum began as a series of day camps within targeted urban and rural counties in North Carolina. 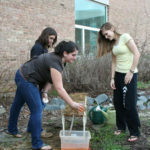 4-H youth with an interest in environmental science participated and served as a pilot students for the initial testing of ideas. The youth actively provided feedback that allowed the shaping of their experiences into concrete lessons. Working with additional rural and urban schools, over one-hundred high school students and teachers piloted the refined ideas and offered suggestions and improvements. 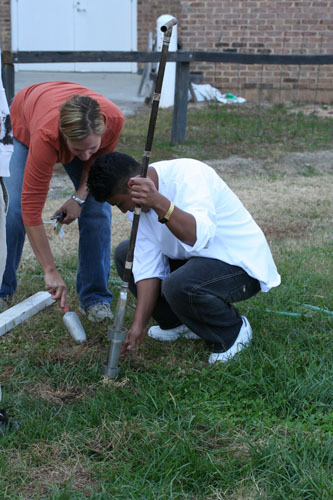 Lessons range from teaching youth fundamentals of soil erosion and sedimentation, to identifying and measuring soil properties, and analyzing water quality issues and other important life skills. The curriculum includes background materials to enhance the content capacity of teachers, assessments to verify student learning and understanding, and additional ideas to extend concepts in the classroom or home environment. Data compiled from surveys completed by participating students in the pilot study showed an overall increase (50%) in their knowledge content for the subject, as well as a change in their current practices and behaviors towards protecting the environment. This shift was also observed and noted in their attitudes; ability to help others, setting goals, making decisions, and other learner-centered behaviors. 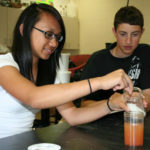 Thanks to generous funding by Syngenta Crop Protection, Inc. for making this curriculum possible. 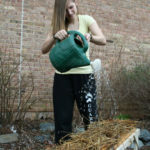 Melanie McCaleb, Owner, NTU, Inc. 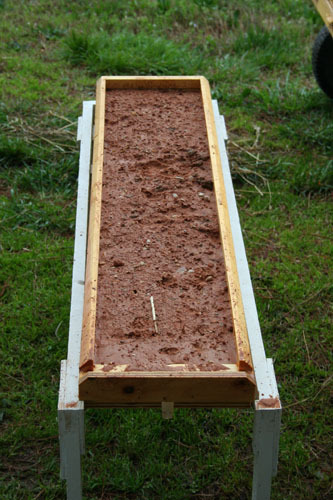 Soil erosion is the process of wind and water moving soil particles from one location and transporting and depositing them elsewhere. Erosion is a natural occurrence, shaping sand dunes, creating river deltas, or carving out enormous rock features like the Grand Canyon. 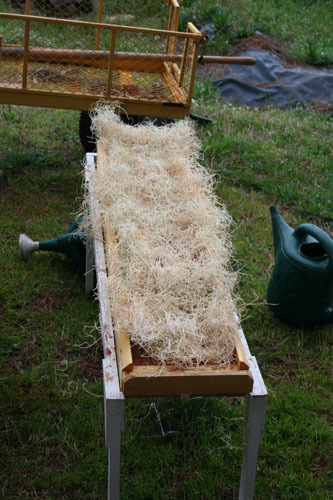 The full curriculum is available for free through your local NC Cooperative Extension Center. 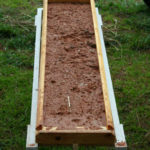 Visit the Soil to Seed YouTube channel to learn about rain splash, soil structure and more. 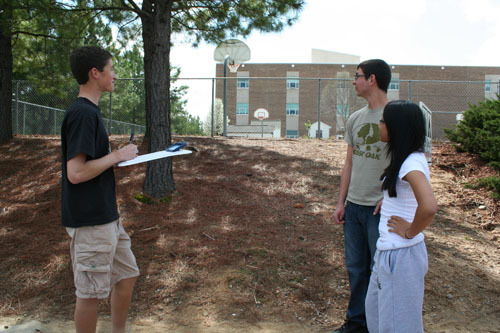 Student site assessment of soil erosion or sedimentation. 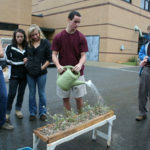 Demonstration of the effects of rain on bare soil. 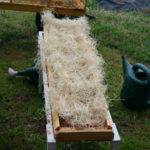 Example rainbox covered with excelsior, an aspen-tree based erosion control blanket. Students raining on their rainboxes. 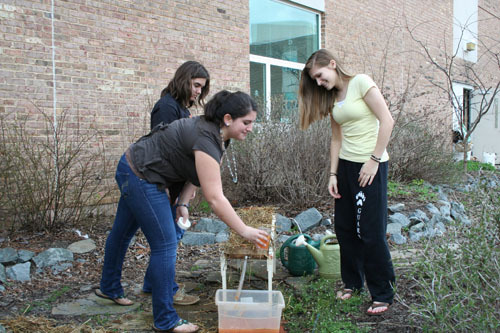 Students making their own erosion control methods. 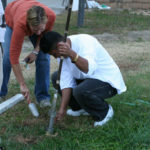 Students augering to determine their school soil types.